Ohio Gov. 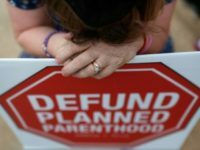 Mike DeWine signed a bill into law Thursday that bans abortions once a fetal heartbeat can be detected. 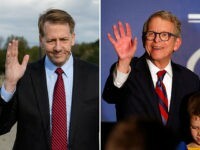 Republican Mike DeWine defeated Democrat Richard Cordray Tuesday night to win the election for governor of Ohio. 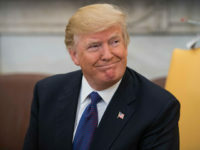 President Donald Trump will hold a campaign rally in Ohio on Friday evening, a day after his blockbuster White House meeting with Kanye West and NFL legend Jim Brown. 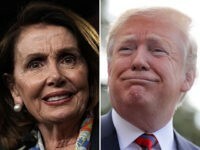 Trump will travel to Kentucky on Saturday evening for another rally as he barnstorms across the country to boost Republican candidates in key congressional races. Stay tuned to Breitbart News for live updates. All times eastern. Donald Trump, Jr., and Kimberly Guilfoyle hit the campaign trail in Ohio to hold the House majority, add to the Senate majority, and keep the governor’s mansion in GOP hands in the critical 2018 midterm election. 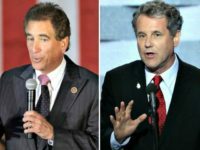 A new poll released by a left wing Ohio-based think tank shows that incumbent Sen. Sherrod Brown’s (D-OH) lead over Rep. Jim Renacci (R-OH) in Ohio’s hotly contested U.S. Senate race has dwindled to four points, 46 percent to 42 percent. 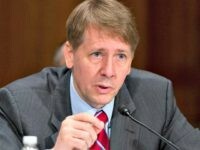 Ohio Democrat gubernatorial candidate Richard Cordray gave a hedge fund manager a sweetheart deal in his final months as director of the Consumer Financial Protection Bureau (CFPB). 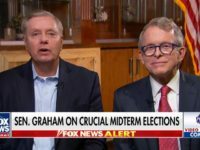 An NBC News/Marist Poll in Ohio has good news for Republicans in the gubernatorial race, and bad news in the U.S. Senate race. 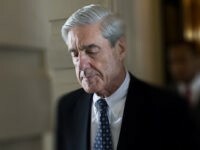 A new poll conducted by America First Action Super PAC, President Donald Trump’s official Super PAC, shows that Democrats in Ohio are in serious trouble of losing their re-election bids. 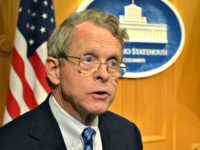 The leading gubernatorial candidate in the Ohio governor’s race, Attorney General Mike DeWine previously co-sponsored the DREAM Act, an amnesty that would have legalized millions of illegal aliens. 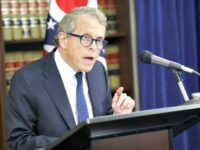 The leading gubernatorial candidate in the Ohio governor’s race, Attorney General Mike DeWine, voted nearly 15 times to give amnesty to the majority of the 12 to 30 million illegal aliens living in the United States. 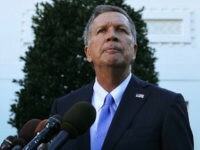 The main state political action committee for the Ohio Tea Party movement endorsed Lt. Gov. 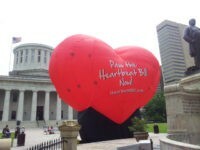 Mary Taylor for the GOP nomination for governor of Ohio on Tuesday, a sign that her campaign is picking up momentum. 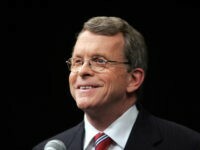 In Ohio, gubernatorial candidate Mike DeWine’s latest ad campaign, the attorney general positions himself as having a “rock-solid conservative” record while ignoring his past history in Congress promoting mass immigration and amnesty for illegal aliens. 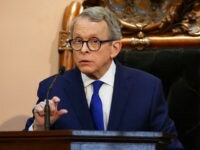 Ohio Attorney General and gubernatorial candidate Mike DeWine (R) supports President Trump’s executive gun control on bump stocks. 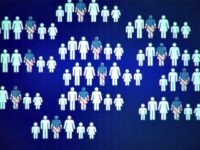 The leading gubernatorial candidate in the Ohio governor’s race, Attorney General Mike DeWine, has a long history of voting for mass immigration policies in Congress. Conservative Ohio Lt. Gov. 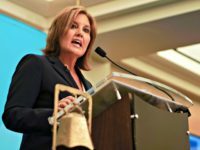 Mary Taylor, a gubernatorial candidate in the key Rust Belt state, announced on Breitbart News Daily Thursday morning that Sen. Ted Cruz (R-TX) has endorsed her campaign for governor against GOP establishment-backed Mike DeWine. Ohio Lt. Gov. Mary Taylor has closed the gap with state Attorney General Mike DeWine in the Ohio gubernatorial race, according to a new poll.